Offline retailers are fighting a daily battle of survival right now. There's increasing competition from e-commerce, and constant demands from consumers that are getting more sophisticated. Exclusífe's mission is to help offline retailers increase their revenue by managing the complete lifecycle of a customer: from connecting to them on each store visit, to growing their engagement with the brand, to leveraging data to find and target new customers. Our platform uses AI, Analytics, Mobile, and Web technologies to bring offline retailers at part with the sophistication of the online world. Our road is long but we are encouraged every day by the response from thousands of our customers. They remind us that the heartbeat of retail truly lives and breathes in the offline world. Career is an important aspect! Exclusífe provides a bundle of opportunities to those Aspirants who wish to make it to the top. We give ample chances to the young and dynamic professionals who have the right thought process to utilize their power of intelligence at the right moments. Moreover, we never step back in rewarding and quoting them as the best Performers. We appreciate the daring young talents, and invite them to prove themselves. We believe our employees are our assets. So, if you have the ability to accept challenges, come join us! 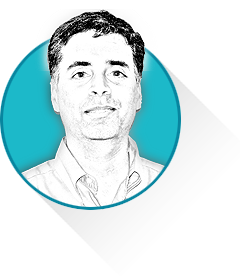 Manish is a veteran serial entrepreneur and has been running technology startups for the last 18 years. Manish finished his BS (Computer Science) from IIT, Delhi and then started his career with IBM. He caught the entrepreneurial bug and left to start 64K. The company was acquired by Verity/Autonomy/HP. After a short stint at a venture capital firm, Manish started Eletter/Launchpoint, a company to help distributed SMEs with marketing. He then launched Tangence, a company that provides marketing services to large and small corporations. Most recently, he has partnered with Anand to co-found Exclusife. 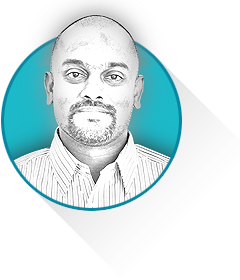 Anand has over 13+ years of experience in the digital, web, and small business marketing space. He started his career as an entrepreneur selling digital marketing services to small businesses. He has since worked in Andale/eBay (small business selling tools) and Tangence (started ResultFirst, their small business marketing division). Anand witnessed the latest SME retail challenges when he observed closely the daily struggles of his mother's small retail food product company. He was motivated to start Exclusife to bring the latest technology tools to world of small business. Nishit Verma is Chief Operating Officer, at Exclusífe. 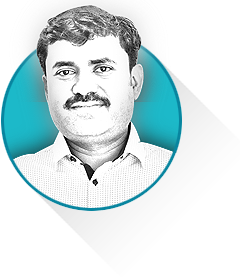 He is enriched with an immense experience of over thirteen years in the department of Marketing and Sales. He was a profound member of Indiamart.com, which is a prominent online B2B marketplace for small and medium businesses. He also has a substantial experience in leading the Recruitment, Training and Customer Care. He is indeed of great worth to Exclusífe, his performance being highly influential and visionary. Nishit holds a Management Degree in Marketing from JDC BYTCO, Maharashtra. He has always been influencing and inspiring. He practices the perfect tricks and keeps adding robust sales strategies, to help run the business operations smoothly. The provision of assisting the customers and providing them with the expected product or service is what the Client Servicing does! Sumit Mehrotra, is the Director of Client Services, at Exclusífe. Sumit has given his 12 best years to Production, Managing key Clients and After Sales Services. Enriched with diverse experience, he has served Indiamart.com as a Regional Manager in Client Servicing. Besides, he was also associated with DevKorp Automotive as a Production Manager. He has always been supportive and is a versatile professional. He is an expertise in his field of providing the customers with proper guidance, and accurate information. 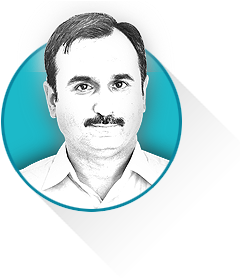 Quite humble as he is, his department works as efficiently providing the proven results. Further, Sumit is an Engineer (production) from Bapu Rao Deshmukh College of Engineering, Nagpur University. © Copyright 2019 Exclusife. All Rights Reserved.